If you are about learning by experience as you explore the science of living things, Wright State’s Department of Biological Sciences is the place for you! Complete your undergraduate degree in one of our eight academic programs, then step up to the Master of Science program in biological sciences. You can enjoy several experiential learning opportunities while traveling your path toward graduation and an exciting career in biology. Enroll in marine biology and enjoy fieldwork in Florida. Travel with your classmates to study the Amazon rainforest. Study abroad in Poland as part of an animal behavior course. Field-based internship sites include a bird sanctuary, big cat rescue program, zoos, and nature centers. Work with a faculty sponsor to produce a senior honors thesis as part of our honors research program. 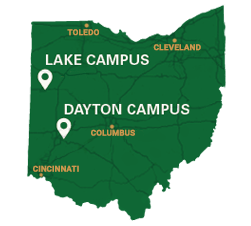 An incredible variety of learning experiences await you at Wright State. Check out our website to find out more. In more than 30 years of service to Wright State David Goldstein has contributed significantly in research, teaching and leadership.